Dads, Lads, and Lasses is a morning of fun and games from 9.45am–12.15pm, three Saturdays a year at Ashford Congregational Church, Clarendon Road. Geared around three themed 20-minute activities and a short, interactive bible talk, Dads, Lads and Lasses offers a chance for busy dads to spend quality time with their children in school years R-6. This session will also be open to those who are starting Reception in September 2018. There’ll be a snack mid-morning and, scattered throughout, time for dad and the kids to beat each other at pool, ping-pong and table football. Alternatively, they can simply relax together around the themed craft table. Here at Ashford Congregational Church, we understand that these days families come in many forms and flavours, and that’s why Dads, Lads, and Lasses welcomes father figures of all shapes and sizes. So whether you are a dad, step-dad, foster father, grandfather or an older male family member or friend, you and your lads and lasses are welcome to join us. The morning ends with lunch from 12.15pm for mum and other siblings to join. The entire morning of activities and the lunch costs just £2 per family. Spaces are limited, so to book your place, or for more information, please check out our ‘contact us‘ page. 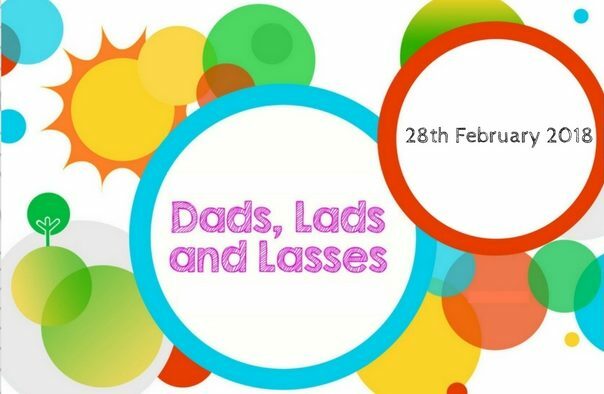 Dads, Lads and Lasses is hosted by Ashford Congregational church and organised by a team of four Christian fathers with children aged 0-11. It is run by a brilliant group of volunteers most of whom are parents and grandparents themselves.